Sustainability certification and labels can help public procurers to define their requirements regarding bio-based products in their public tenders. Under the new EU Public Procurement Directives (2014) contracting authorities have the possibility of using labels as a source of information for defining technical specifications, to check compliance with the technical specifications and requirements or in assessing award criteria. In checking compliance the requirements set in a tendering process, by accepting a label as one means of proof of compliance with the technical specifications can help a procurer save time while ensuring that high environmental standards have been applied in the procurement process. 2. How can a public procurer use labels? The new EU Public Procurement Directives (2014) specify strict conditions for the use of labels in the technical specifications of a contract, the award criteria or contract requirements. There are strict conditions attached to the demands of a label. A label that demands on issues that are not relevant to a task, such as requirements on general company policy, you may not require. In that case, you can still define technical specifications by reference to the detailed specifications of that label or parts that do relate to the subject of the contract. The label can then be used as evidence to establish that the tender meets the required specifications. are set by a third party over which the economic operator applying for the label, does not exercise decisive influence. accessible to all interested parties. if prescribing a label does not hinder innovation. shows that the works, deliveries or services to be provided meet the specific label or the specific requirements specified by the contracting authority. Further details governing the requirements for using labels in public procurement are provided in the Directives themselves and in the European Commission’s latest guidance on green public procurement: the Buying Green! Handbook – the third edition was published in April 2016. This condition is usually fulfilled by ISO Type I labels, but not by the private certification scheme mentioned in Section 2 (for an explanation of label types see also footnote 2). Here you can find a (non-exhaustive) list of different labels, certification schemes and standards that may be considered when purchasing bio-based products or services. In Europe three multi-issue ecolabels exist of ISO 14024 type I. The EU Ecolabel, the Nordic Ecolabel, and the Blue Angel ecolabel. Specific product categories that include bio-based products under these labels are lubricants, sanitary products, food disposables, and office materials. ISO differentiates between Type I, II and III ecolabels, of which Type I are the strongest ones. 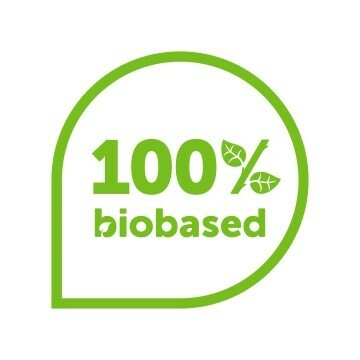 They are voluntary, multiple-criteria based, third party programmes that award a license that authorises the use of environmental labels on products indicating overall environmental preferability of a product within a particular product category based on life cycle considerations. Type II labels are self-declarations and Type III labels do not set any thresholds and do not claim overall environmental preferability. Lubricants: Lubricants receiving the EU Ecolabel need to prove a minimum content of bio-based carbon between >45% and >70% (depending on the type of lubricant). Sanitary products: This product group includes bio-based materials in the form of fluffy pulp and bio-based polymers. Material composition must either include a share of 7% of all polymers from renewable raw materials, a share of 50% of all materials derived from renewable resources or the global warming potential of all the materials cannot be above 2.1 kg CO2-equivalents/kilogram of the product. Disposables for food: A minimum of 90% by weight of the product must be produced from renewable raw materials (except for inorganic fillers which can make up to 20% of the product). Office materials (writing utensils and stamps): The 2016 revision of the criteria for these products has included the provision that they need to be produced either from 60% renewable raw materials or from 80% recycled materials. The cultivation of renewable resources (usually from forestry and agriculture, sometimes from marine aquaculture) has a huge impact on the sustainability of the final bio-based products. Due to the EU’s renewable energy policy, several certifiers have developed certification schemes for agricultural biomass that adhere to the conditions laid down in the EU’s 2009 Renewable Energy Directive (RED). Some of them have by now adapted their schemes in a way that they can be applicable also to materials, not only to energy. For wood, sustainability certification schemes were developed before the renewable energy policy due to concerns about unsustainable forestry practices in many parts of the world. A 2013 report from WWF assessing the different certification systems, comparing strictness, etc. is available here. Since then, the certification systems have developed, and it is not sure whether the comparison is up to date. 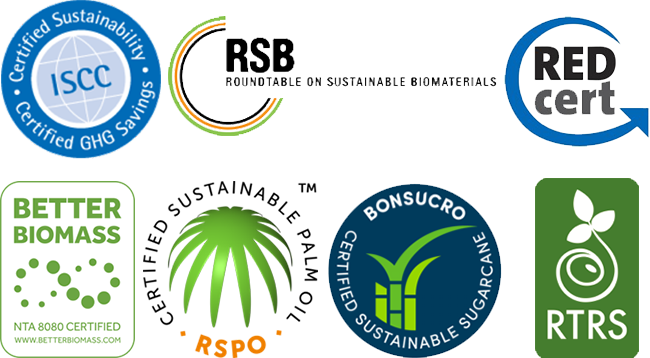 However, according to the 2013 assessment, RSB was rated the best certification system for all kinds of biomass and RSPO and RTRS were the highest rated for single biomass types (soy and palm oil respectively) with Bonsucro following closely behind. Existing certification of bio-based content refers to bio-based carbon content and is based on the European norm EN 16785-1 "Bio-based products - Bio-based content - Part 1: Determination of the bio-based content using the radiocarbon analysis and elemental analysis" and by the American standard ASTM 6866 “Standard Test Methods for Determining the Biobased Content of Solid, Liquid, and Gaseous Samples Using Radiocarbon Analysis”, but also refers to CEN TS 16137 “Plastics – Determination of bio-based carbon content”. There is a number of certifications and labels that highlight the special end-of-life options of bio-based products such as compostability, biodegradability in soil, biodegradability in sea water, etc. For clarification on these terms, please have a look at the InnProBio Factsheet #3 on Biodegradability. 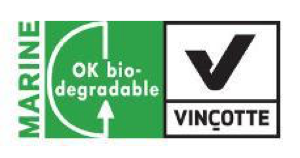 The three most widely used certifications used in Europe to prove compliance with the compostability norm EN 13432 are the 'Seedling', the 'DIN Geprüft', and the 'OK compost' labels. For an overview of all globally available logos demonstrating compostability, see a summary report of the KBBPPS (Knowledge Based Bio-based Products’ Pre-standardization) project on compostability standards.